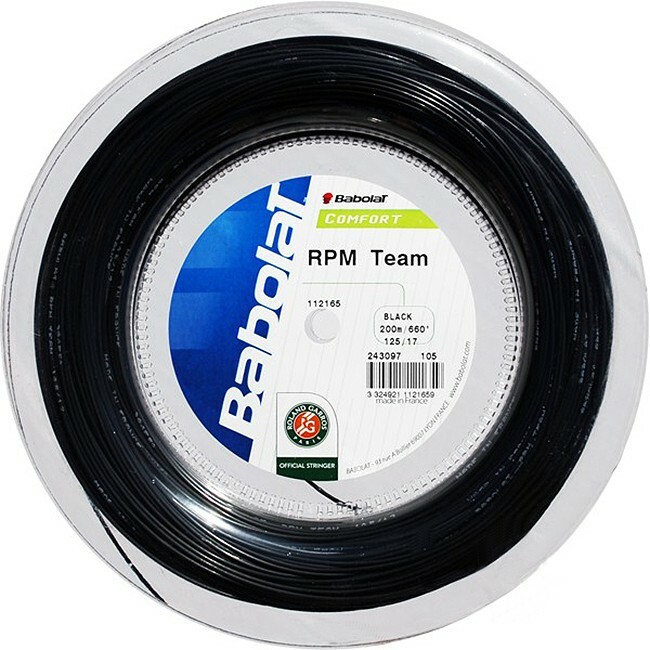 Babolat RPM Team 17 gauge is designed for better durability and playability, softer feel than RPM Blast, with excellent spin and control. Babolat RPM Team 17 gauge is designed for better durability and playability, softer feel than RPM Blast, with excellent spin and control. Air injected into the center core gives this string a less harsh feel for the hard hitting advanced player. Really dynamic power and spin can be generated with better than usual ball feel for a stiffer extruded string.